The Parkland kids are forcing tough decisions on the National Rifle Association. The Stoneman Douglas survivors continue to work to have all of us focus on the destructive power of the National Rifle Association in corrupting public debate. 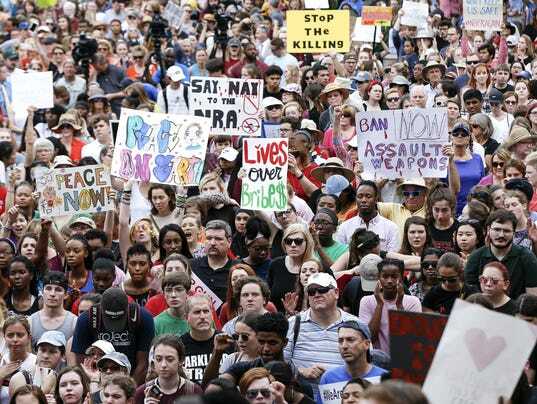 Instead of arguing about the definition of assault weapons or the details of databases, the young activists say that taking out the NRA will allow serious discussion and progress on meaningful remedies. Their approach is deliberately polarizing; they demand that Americans choose the NRA or, instead, to stand with the kids. The NRA has cultivated extraordinary influence by holding the politicians it endorses to tight standards. Even more important than the often massive amount of campaign funding and member support NRA politicians get is the explicit threat that the organization’s support is contingent–an opponent can get it next time. By demanding action from government, the Parkland kids are peeling off some politicians. Some, like Donald Trump and Rick Scott (Florida’s Republican governor) are trying to find the smallest step they can take to ease political pressures. Timidly testing the waters of independence, they’ve suggested raising the age to buy assault weapons from 18 to 21, in defiance of the NRA–for the moment. 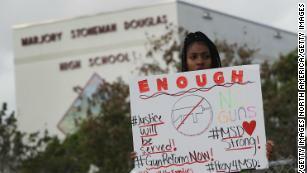 It’s not clear whether the gun lobby will be willing to draw a line in the sand on that issue and withdraw its support. If the NRA doesn’t, however, it will lose some of its core supporters, and gun groups to its right will try to cultivate them. And discipline works best when punishment is a credible threat, but a rare occurrence. Once the line is broached, Republican politicians will test how far they can go. Nineteen Republican members of the House of Representatives sent a letter to Speaker Ryan, asking for a vote on expanded background checks for gun ownership.They are challenging the NRA, which opposes the bill, and challenging Ryan to stand up to the right wing of the Republican caucus. The Parkland kids are poking at the NRA’s unity, and any NRA response is risky. And it’s not just politicians; the challenge to corporate partnerships continues to claim casualties, as lots of companies have announced the end of their deals with the gun group. TruCar, Avis and Hertz rental cars, MetLife, and Delta and United Airlines have announced the end of their business relationships with the NRA since I wrote yesterday. Perhaps the corporate leaders suddenly considered the wisdom or morality of the policies that the NRA promotes; certainly, the public pressure coming from the Parkland kids and their tens of thousands of followers has made that consideration possible. Effective protest aligns moral, political, and economic incentives. …some corporations have decided to punish NRA membership in a shameful display of political and civic cowardice. In time, these brands will be replaced by others who recognize that patriotism and determined commitment to Constitutional freedoms are characteristics of a marketplace they very much want to serve. Harsh talk, but no CEO is going to rush back to the NRA in response to ridicule. Other companies with wise leadership will be wary about linking up with the gun lobby. Those that rush in to fill the gap left by these defectors will be able to demand better terms from the NRA–because the risks of the association are more obvious than ever before. The point is to push the NRA to the margins of legitimate politics. If the NRA concedes, even on small points, it risks its most vigorous supporters; if it holds the line, emphasizing weapons-based solutions (more guns in schools, for example) to the problems of guns, it winds up showing that its opponents are right. This entry was posted in Uncategorized and tagged assault weapons, Brian Mast, Delta, Donald Trump, Florida, guns, Hertz, MetLife, NRA, Parkland, Rick Scott, TruCar, United. Bookmark the permalink.